The River Basin Game was developed by Bruce Lankford as a tool for working with farmers in regions with upstream-downstream water conflicts in Africa. The game consists of a river basin with a town and irrigable areas laid out along a river, constructed from wooden battens on a board. “Water” marbles roll down the river and the “farmers” can divert it into their farms, trying to get enough water to irrigate their crops without disadvantaging downstream farmers. It’s one of the most impressive games I’ve ever seen – it’s incredibly simple, but recreates upstream-downstream conflicts and the emotional experience that comes with them beautifully. Playing the game with children, I’ve occasionally seen tears and once physical violence brought on in disagreements about how the water should be shared – the game really hits home. It’s also incredibly flexible and you can use it to discuss droughts, water allocations, intake types, relationship of urban and rural areas and many more issues. It’s even seen action as a flood control game during my IHE Delft serious game design course. 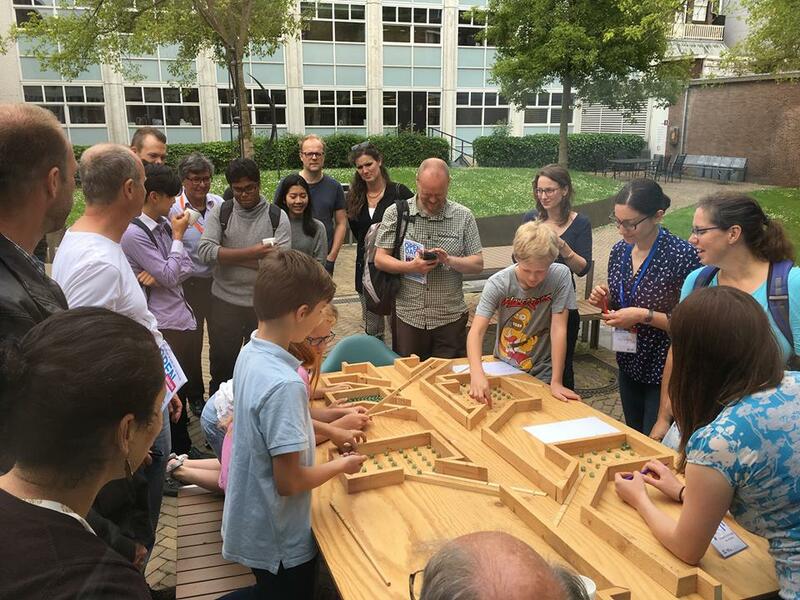 I’ve used the game for an open day at IHE Delft, as a drop-in event for Edinburgh International Science Festival and helped Water Witness International use it for a climate justice event. I have a portable version of the game in Edinburgh – please get in touch about using it for education or events!